Is Your Building Non – Compliant? Did you know that your RCD’s (Safety Switches) need to be tested by law? If your property has RCD’s and you not regularly test them in accordance with Australian Standards then you are putting people and property at serious risk. 15 Australians are killed in preventable home electrical accidents each year and around 20 times that number are hospitalised with serious injuries. Does your property have RCD’s? Many properties already have circuit breakers installed, however circuit breakers only protect against overloading and short circuits they do not prevent against electrocution. Since 2000 it has been compulsory for all new homes to have a minimum of two RCD Safety Switches fitted to protect the power and lighting circuits as part of the electrical installation. RCD’s also protect against fire caused by faults in appliance, machinery and wiring. If these faults go undetected they could cause a fire or personal injury. RCD’s provide a means of early fault detection and lightning fast protection. 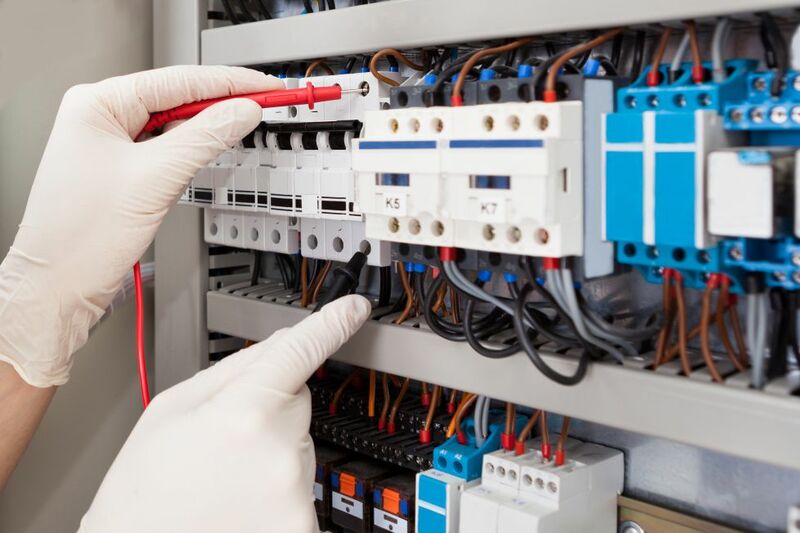 By law, work places have a Residual Current Device (RCD) Testing requirement for electrical equipment under AS/NZS 3760:2010 & AS/NSZ3012:2010 standards. What are the testing intervals and who can do it? A licensed electrical contractor is the best person to assess if your RCD Safety Switches meet the regulations and will use an electronic RCD tester to test the reliability and speed of the RCD. Contact us now to book your RCD testing for your building. Are you paying too much to test your Exit and Emergency Lighting? Tired of getting conflicting reports and exorbitant repair bills from your Fire Contractor? Always seem to be shelling out $1000’s of dollars to replace exit and emergency lights? Wondering if you really needed to replace all of those fittings? Well its likely that you are like many Strata Managers and it is time to exercise your options and get electrical professionals to maintain and manage your exit and emergency lighting. Your competent electrical professional will conduct these tests under the Australian Standards and ensure that your building is complaint while not filling up land fill with lights that could easily be repaired instead of replacing. This saves you money and has a positive impact on the environment. 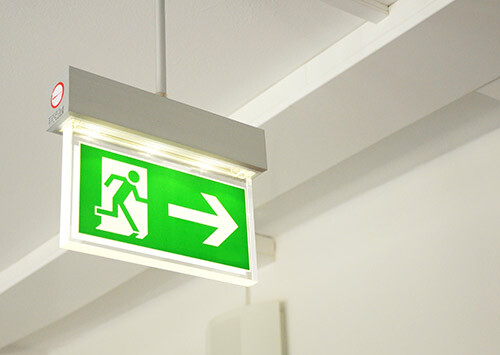 Contact us now to speak with an Exit and Emergency Lighting Specialist. 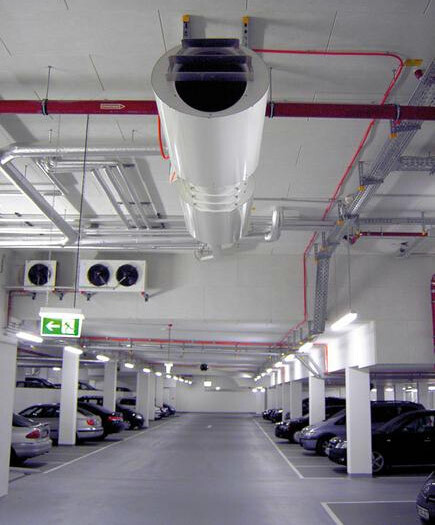 Carpark ventilation systems are designed to provide a safe and compliant carpark space. Dangerous gases produced from motor vehicles include Carbon Monoxide and Nitrogen Dioxide, both of which when concentrated like in confined spaces like carparks can seriously harm and kill. For this reason all carparks need to comply with AS 1668.2 – 2012. Unless your carpark is open or outdoors it is likely that it requires a carpark ventillation sytem. A well designed system will not only be compliant but be energy efficient and only run when it is required to. If designed correctly and with optimal energy efficiency in mind, running costs can often be reduced to save up to 90% of energy consumption. How do you ensure that your system works and is running efficiently? Arrange an inspection of your current system and produce a report on the efficiency and compliance of your car park ventilation system. Produce a cost analysis of any potential improvements to your system and ROI calculations for suggested modifications. Arrange future compliance checks and system operation is as per AS 1668.2 to ensure optimal operation and compliance is maintained. Contact us now to speak with an Carpark Ventilation Compliance and Energy Specialist. Are you fulfilling your OHS obligations? AS/NZS 3760:2010 specifies the safety inspection and maintenance standards for Australia. This includes the safety inspection, testing and tagging of single and polyphase (240v – 415v) portable electrical equipment. This can include anything from computer leads, vacuum cleaners, compactus units and extension leads. Inspection and re-testing intervals can range from daily, monthly, 3 months, 6 months, 12 months, 2 years and up to 5 yearly testing schedules. Contact us now to speak with a Test and Tag Specialist.